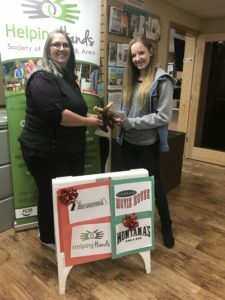 Helping Hands Annual Acts of Kindness Challenge for 2018 – Congratulations to our 2018 Winners! You can help out by starting in your own neighborhood and on your own time! 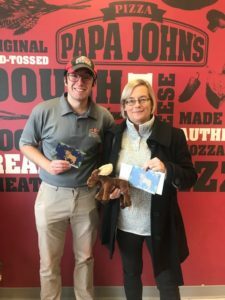 Cochrane residents are encouraged to volunteer locally and to perform Random Acts of Christmas Kindness with our cute paper moose and to take a photo of it (moose with cookies for your neighbor, moose shoveling the snow, moose with a homemade meal for a friend, moose with a card being mailed to a lonely grandparent, etc…). 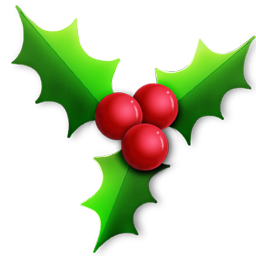 Post the photo tagged with #volunteermoose on social media or email it to Helping Hands at moose@helpinghandscochrane.ca. 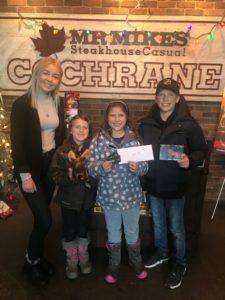 Each random act is entered into a weekly draw for a Cochrane Night Out Package. 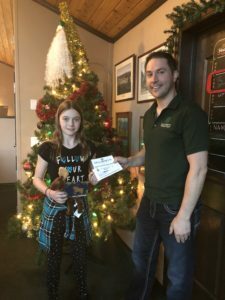 Winners will be announced in the Eagle weekly in the 4 weeks leading up to Christmas (Prizes donated by Cochrane Movie House, Mr. Mikes, Panago, Killarney’s Pub, Montana’s and Spray Lakes Sawmills Family Sports Centre). The pictures will also be displayed on a wall at Spray Lakes Sawmills Family Sports Centre. We had over 200 entries last year. We would like to get way more this year. 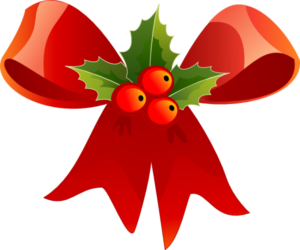 The paper Christmas moose will be found in the Cochrane Eagle from November 29th to December 20th. You should see them around town at local coffee shops and other participating vendors. 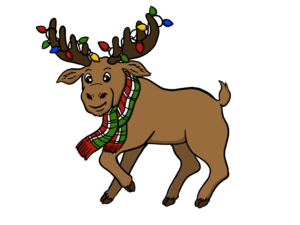 Click here #volunteermoose to print a copy from our website.